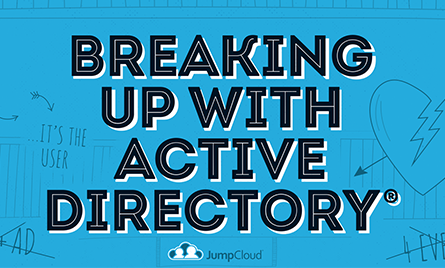 Active Directory has been the foundation of IT for so long, that for many it feels like it will always be the directory of choice. But the truth of the matter is that AD is becoming outdated, and it is refusing to change with the times. Some might argue that Azure Active Directory is the cloud replacement to Active Directory, but unfortunately it isn’t! IT is rapidly moving to the cloud with incredible amounts of as-a-Service products, and this means that there needs to be a way to manage all of the access for these services. Plus, with the growth of cross platform environments (over 90% of Fortune 500 companies support Macs), IT needs a way to manage the different variety of systems that are present in the workplace. When you add in all of the other standard features of today’s IT (i.e. RADIUS, remote users, web applications, and more), it becomes clear that AD just wasn’t built for modern day IT. Many IT admins are getting fed up with Active Directory’s refusal to adapt to the cloud, and as a result nearly 50% of admins have stated that they will move their entire infrastructure to be “all cloud” by 2020. This is clearly against what Microsoft wants, as even their cloud solution Azure AD still requires you to have on-premise infrastructure. Don’t let Active Directory force you into living in the past. That reason is why we wrote an ebook on Breaking Up With Active Directory. This light-hearted story details quick stats and reasons that tell why “this just isn’t working anymore.” You can find it by clicking on the image above. 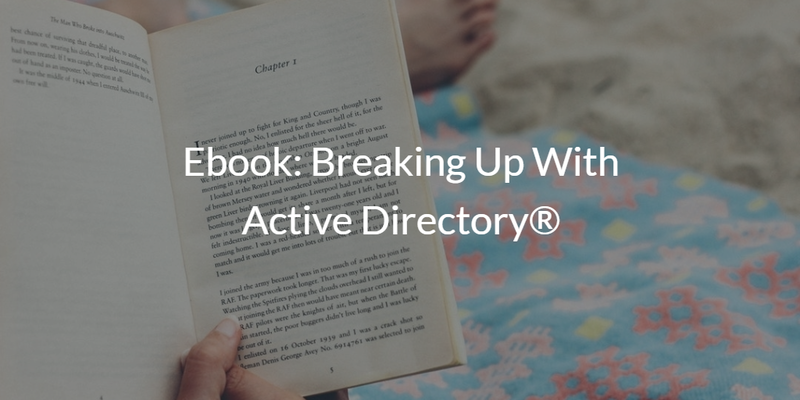 You can “break up” with Active Directory too, and it’s easier than you think. Learn how by getting our Quick Start: Active Directory Guide. JumpCloud strives to help IT be more efficient and simplified, by unifying IT regardless of location, type of resource, or provider. With Directory-as-a-Service®, you can have centralized management of your systems (Windows, Mac, and Linux), cloud and on-prem servers (AWS, Google Cloud, etc. ), web and on-prem applications (through LDAP, SAML) and wired or WiFi networks via RADIUS. These services allow businesses to have all of their platforms, protocols, providers, and locations be manageable through one unified cloud directory. On top of that, our IDaaS platform serves as a provider of cloud LDAP, RADIUS-as-a-Service, MFA, user management, system management, True Single Sign-On™, and more. With all of these features, combined with our Active Directory Bridge functionality, breaking up with Active Directory has never been easier. You can join the modern cloud-forward world of IT by giving JumpCloud a try. It’s free for your first 10 users, no credit card required. Alternatively, if you have any questions on how Directory-as-a-Service can help you get away from AD, drop us a note. We would be happy to answer any questions that you may have.